This Witch pendant lamp was designed by Marco Piva for Leucos in Italy. 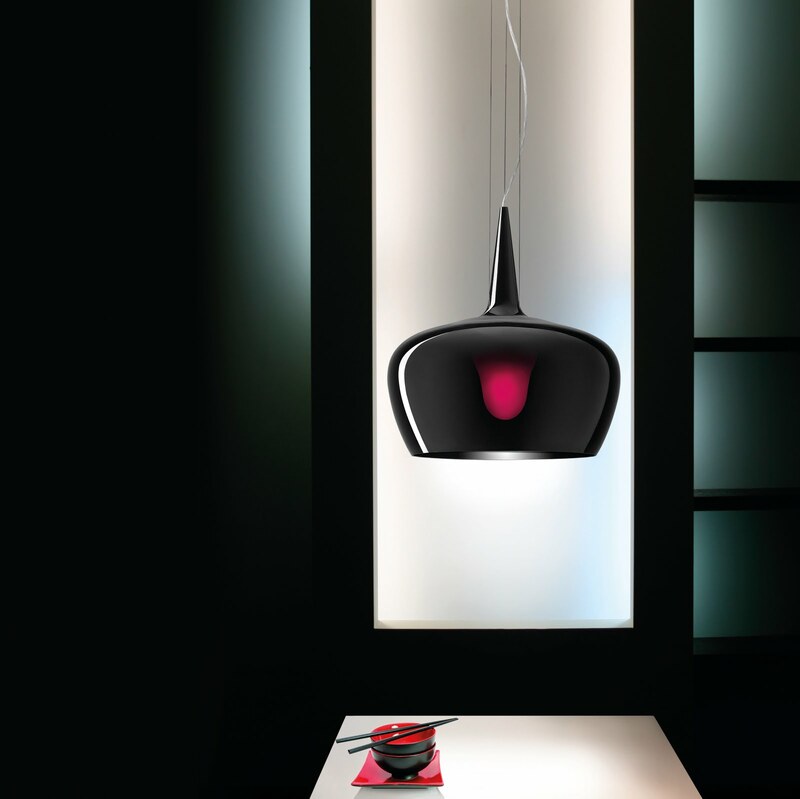 An enigmatic and unique witch's hat shaped pendant light. 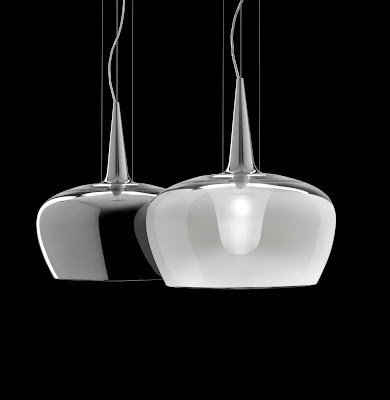 This suspension light is made of blown glass in the following colors: transparent black, mirrored crystal, white or grey. With a structure of black painted metal on black glass and chrome plated metal on the mirrored, white and grey diffuser versions. The Witch pendant light has a white painted metal canopy.